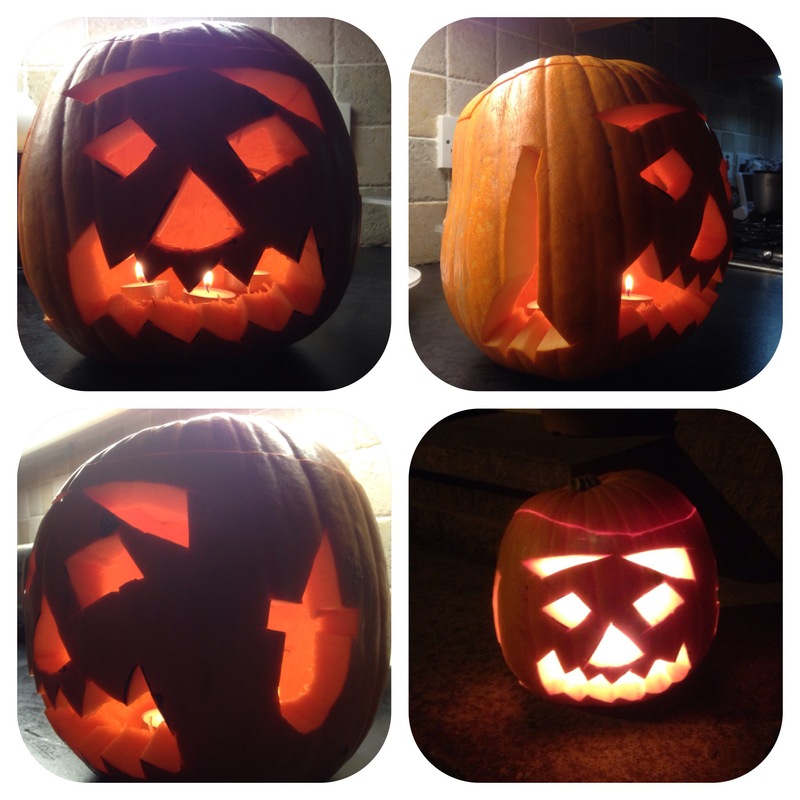 I finally succumbed today and bought an extra large pumpkin from Tesco for £3. I told my two wee girls only 1 this year!! 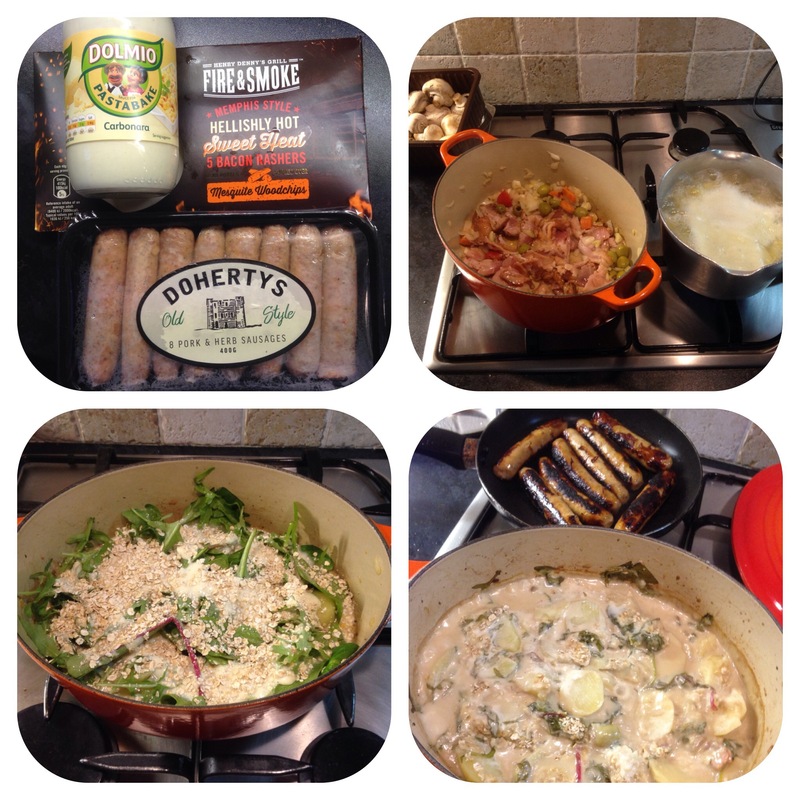 Got home and made bangers and very opulent mash-using bacon, mushroom, onion, garlic and carbonara sauce….ok it was from a jar but hey I was busy!! I cooked the onions, garlic, carrot, celery and mushrooms in peanut oil. Then added the cut bacon. Meanwhile I boiled 4 sliced spuds and cooked til al aldente.i then layered the veg mix, spuds and carbonara sauce in my oval Le Crueset.I added spinach, kale, rocket and oats before I placed in oven at 220C for 30 minutes. I then cooked the sausages and dinner was ready!! After dinner I got the girls to help me scoop out the pumpkin and separate the seeds from the flesh. I started the soup stock with oil, onion, garlic, greens, stick cubes and mushrooms. Whilst carving the pumpkin we added the flesh to the soup mix. Eventually the pumpkin was ready and the soup base was also. I liquidised the soup , seasoned and added cream. 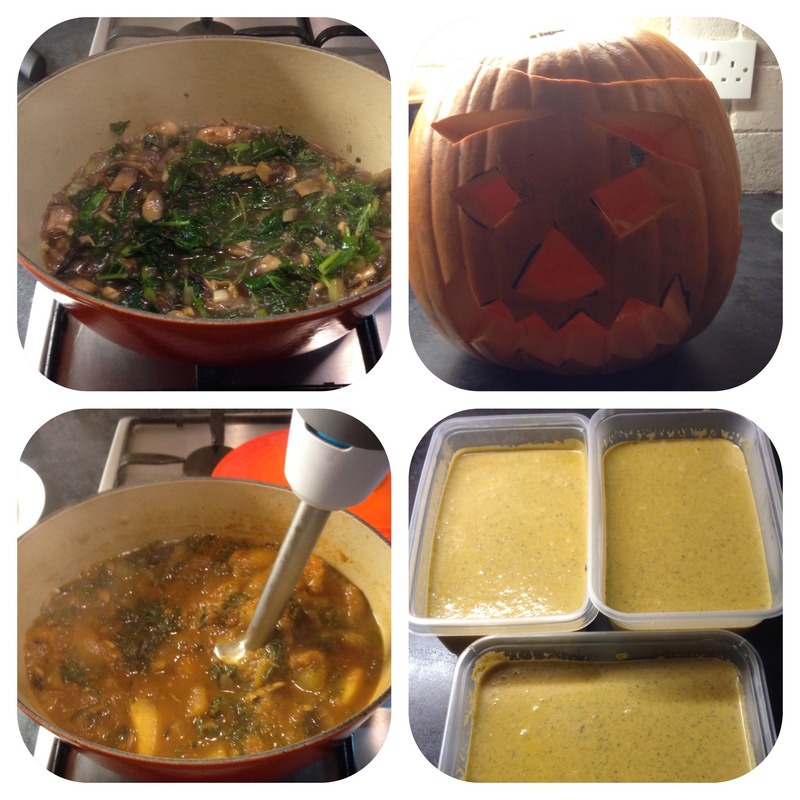 This I simmered for 5 minutes whilst we added candles to the pumpkin and hey presto all done…. now who will do the washing up! !